If you follow me on Instagram, Twitter, or Facebook you might have seen that I was featured on Refinery 29 earlier this week as part of a collaborative with some other food bloggers from the Chicago Blogger Network. We teamed up and came up with a list of the perfect sides for a summer BBQ! You can check out the article here! 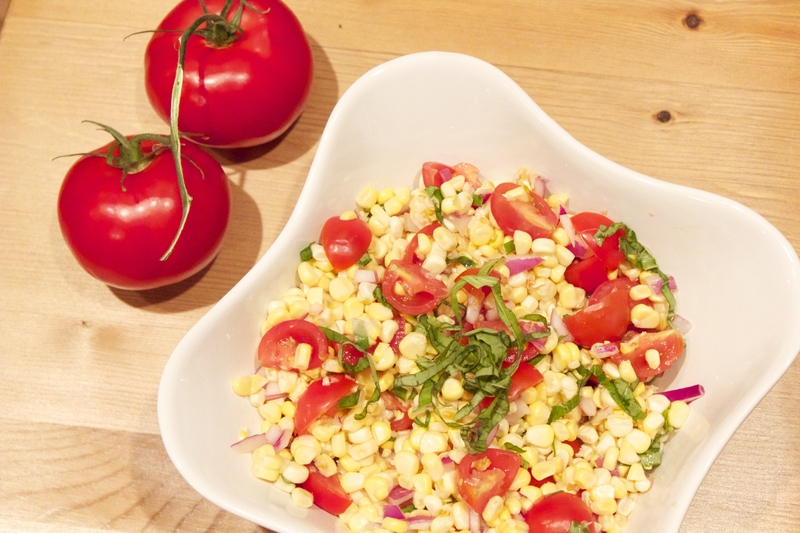 Today I will be sharing with you the recipe I contributed – summer corn salad! This salad is simple and fresh and is one of my favorite sides for summer! 1. Husk corn and cut off kernels. 2. Cut tomatoes in half length wise. Chop onion finely. Cut basil into thin strips. 3. Mix all ingredients together with vinegar and salt. Enjoy! Seriously, how easy is that for a recipe? What are some of your favorite dishes for summer?